Want to start a flurry on the internet? Wade into the always fraught discussion about how women should balance work and family commitments. Any piece on the topic is bound to spark a raging debate as Princeton professor and Obama administration official Anne-Marie Slaughter recently confirmed with her Atlantic article, “Why Women Still Can’t Have It All,” in which she discusses at length her decision to give up a high-powered State Department job to spend more time with her teenaged sons. With its catnip title backed up with a thoughtful exploration of a difficult and emotional issue, the article has generated a predictably frantic round of response and recrimination online. But even for those who weren’t dying for another rehashing of the limitations (or lack of them) society and biology puts on women’s life choices, the piece offers food for thought, particularly for those thinking about the future of work and the role of remote collaboration. A study by the Center for American Progress reports that nationwide, the share of all professionals—women and men—working more than 50 hours a week has increased since the late 1970s. But more time in the office does not always mean more “value added”—and it does not always add up to a more successful organization… Long hours are one thing, and realistically, they are often unavoidable. But do they really need to be spent at the office? To be sure, being in the office some of the time is beneficial. In-person meetings can be far more efficient than phone or e-mail tag; trust and collegiality are much more easily built up around the same physical table; and spontaneous conversations often generate good ideas and lasting relationships. Still, armed with e-mail, instant messaging, phones, and videoconferencing technology, we should be able to move to a culture where the office is a base of operations more than the required locus of work. One way to change that is by changing the “default rules” that govern office work—the baseline expectations about when, where, and how work will be done. As behavioral economists well know, these baselines can make an enormous difference in the way people act. It is one thing, for instance, for an organization to allow phone-ins to a meeting on an ad hoc basis, when parenting and work schedules collide—a system that’s better than nothing, but likely to engender guilt among those calling in, and possibly resentment among those in the room. It is quite another for that organization to declare that its policy will be to schedule in-person meetings, whenever possible, during the hours of the school day—a system that might normalize call-ins for those (rarer) meetings still held in the late afternoon…. Do you agree with Slaughter’s diagnosis that “time macho” is a problem and her prescription of tech and thoughtful flex-work policies to cure it? 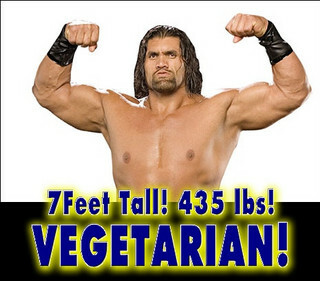 Image courtesy of Flickr user vegetarians-dominate-meat-eaters-01. Throughout the years, women have been fighting a lot of battles. We win some and some are still in a pending status. It is sad to see that there are still those who tend to ignore the oppressing problems of women in our society. But I am also happy that there are women who face and try to solve these problems. In spite of gender biases and stereotypes, I think women can still find a balance between career and family. If not, a woman can decide what makes her happy best. Thanks Jessica for more good insights on The Atlantic article. I’m hoping that Anne-Marie Slaughter, Sarah Granger (SF Gate) and your articles will highlight the effective integration of work and life. While I love the Kennedy example in the comments here, I think it side steps the point that for many men and women, work doesn’t have to be done in a specific place. We can often be more effective and efficient given greater flexibility. If we and our organizations are creative about mixing the human, technical, and organizational dimensions we can have more, if not all. Thereâ€™s a story about Robert Kennedy Iâ€™ve read on inc.com, he was seeking to indict Teamsters head Jimmy Hoffa. One night Kennedy worked on the Hoffa case until about 2 a.m. On his way home he passed the Teamsters building and saw the lights were still on in Hoffa’s office, so he turned around and went back to work. Weâ€™re living in a world in which we need to outsmart and outwork our competitors and some people donâ€™t have the privilege to just let go. Want an invite to IQTELLâ€™s GTD app beta?